You know it's something you've always wanted to say: "I'm with the band". You and your friends may have never realized your high school dream to be famous recording artists. But it's not just actual rock stars, indie bands and electronic music creators who can have the ultimate 'destination recording experience'. W Hotels' Sound Suites allow anyone to go on vacation, and lay down some tracks as well as work on your tan. Four W Hotels around the world: Bali, Barcelona, Seattle and Hollywood, all have the one-of-a-kind Sound Suites. It's just the type of development we'd expect from the hotel chain that set the bar for modern, stylish, artistic lifestyles. W Hotels feel more like independent design hotels, but as a chain, they have celebrated, empowered and integrated the works of creators of music and the arts, with a global music director and advisors, signature music experiences and an immersive experience of the local creative scene in each hotel. Their North American Music Director, Chicago-based producer DJ White Shadow, known for his work with Lady Gaga, came up with the idea for W Sound Suites, and the brand has run with his concept, implementing W Sound Suites with professional grade sound equipment and top technology for audio production. You'll find Native Instruments and Shure state of the art sound equipment like a keyboard, DJ system, professional-grade headphones and microphones, as well as Yamaha acoustic guitar and Fender bass for professional musicians and aspiring guests to use in music sessions. The professional sound studio set up lives in W Hotel signature style. 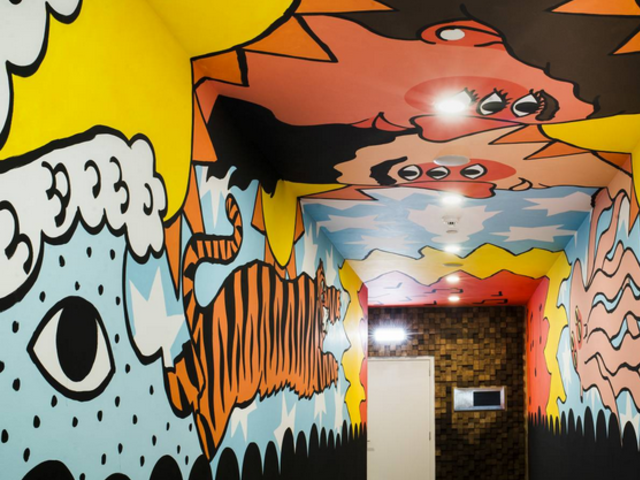 The W Hotel Barcelona, for example, which has Europe's first W Sound Suite, features murals from local visual artist Ricardo Cavolo. A 'fire' for music and design come together in the original art that inspires Sound Suite musicians. 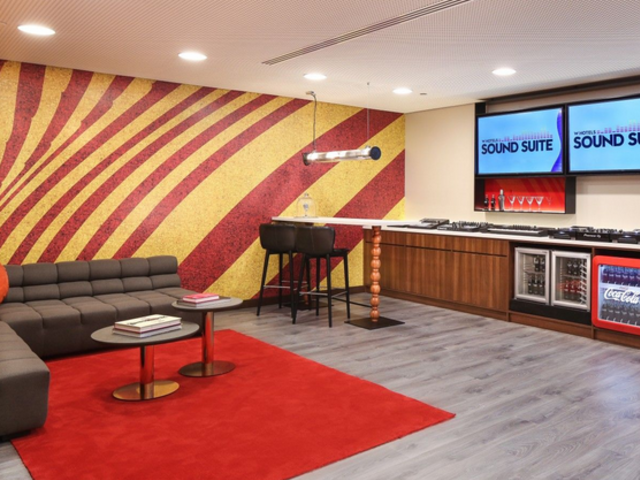 W Sound Suites have space to accommodate your entourage with a lounge, a living room, as well as soundproof recording and mixing space, so you can raise the roof with your sound. Support for music creativity goes beyond the space to hold your own private recording session with amenities like stylish restaurants, room service, pools and gyms and spas and bars of the hotels. 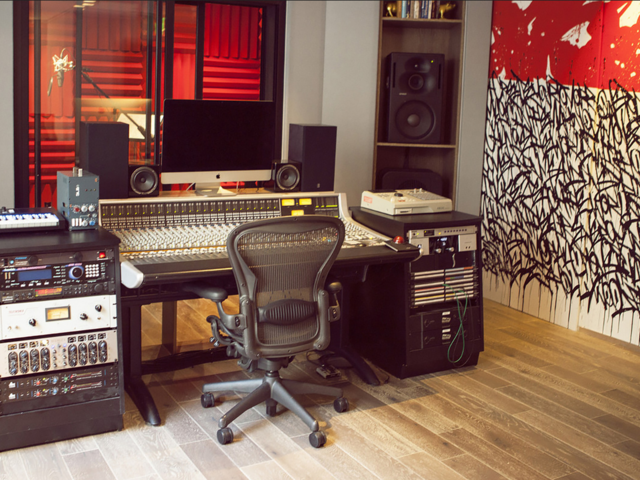 Musicians booking a W Hotel Sound Suite may also have access to Master Classes, sound engineers and other local experts through the hotel's Music Curator. W Hotels Sound Suites bring out – or resurrect - the music creator in us all. We love the idea of booking Sound Suites for guy and girlfriend getaways or bachelor parties… for the musically-inclined, it's a once in a lifetime blast! W Hotels see the suites as not just for recording artists on creative retreats, but as a way to support amateur and emerging talent – all within the artistic, creative vibe of the signature W Hotels environment.